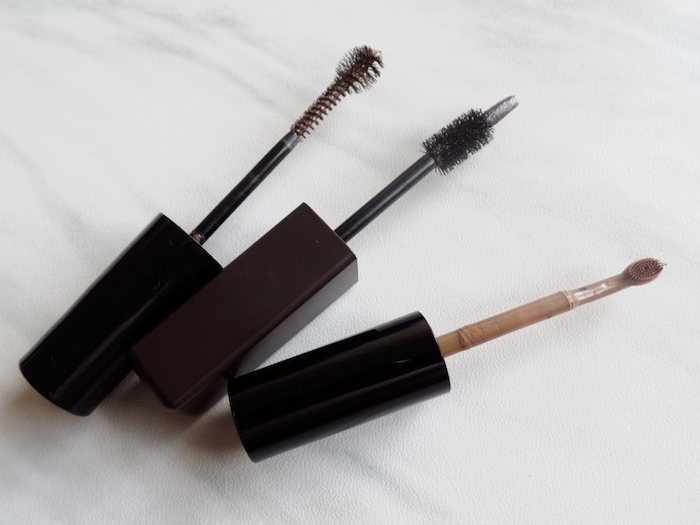 CONFESSION: I am obsessed with brow mascaras! It started with the much adored MAC Brow Set in Beguile and before I know it, I can't quite leave the house without it. On really (and I mean bone) lazy days and a good brow shape, I skip the whole lining and filling and go straight to brow mascara setting. Colouring my hair frequently requires me to have various brow mascara shades on hand. I've tried high, low, and mid end and these are my top 3 from Maybelline New York, L'Oreal Paris, and K-Palette. 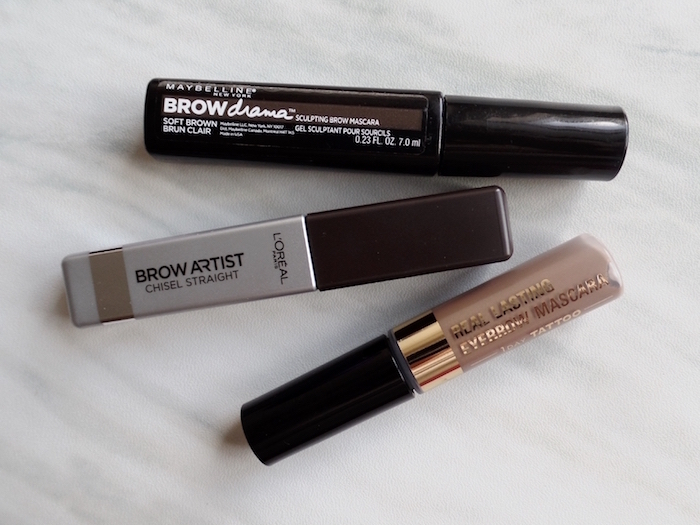 The easiest, most natural, and make-up newbie proof is Maybelline New York Brow Drama (aka. Fashion Brow in Asia). Its dome brush applicator allows you to have a full inner brow, tapering off to a beautiful arched number. The tint and hold lasts all day which makes this the most sulit buy at only Php 249 or $6 in CVS. The latest of the three in my boudoir is the one in the middle, the L'Oreal Paris Brow Artist Chisel Straight in Effortless Mahogany (Php 400). It has a conical applicator tip that allows you to draw the brows you want followed by easy, peasy fixing and styling thanks to the mini brush in the same wand. Its cream to powder finish last all day too, making this perfect for chicas who don't want to be bothered by 101 brow products and tools in the morning. The last of the trio is no stranger to this blog: the K-Palette Real Lasting Eyebrow Mascara in 102 (Php 595). It has a unique shower head brush that allows you to brush the hair strands evenly. It dries up really fast too making it a great 911 product when in a morning rush. Afraid it will melt in the heat or bead off under the rain? Not a chance. It clings on the brows all day!